You say you want a fashion revolution? Start by looking into your closet. Nearly a year ago, the world trembled as 1,133 garment workers lost their lives in the devastating Rana Plaza building collapse just outside the Bangladeshi capital city of Dhaka on April 24. The tragedy, which injured 2,500 others and left at least 800 children orphaned, peeled back the curtain on the horrific realities behind the fashion industry’s glamorous facade: illegally run, poorly built “death traps” masquerading as factories; abysmal wages, barely enough to eke a living; oppressive workloads, coupled with uncompensated overtime; and a climate of physical and psychological degradation with little to no respite. Fashion Revolution Day was forged in the embers of Rana Plaza. Pachacuti’s Cary Somers, who masterminded the global movement with the likes of Orsola de Castro and Livia Firth, wants people to keep talking about the provenance of their clothes. Even the cheapest of clothing has a price. And now, more than ever, it might be someone’s life. 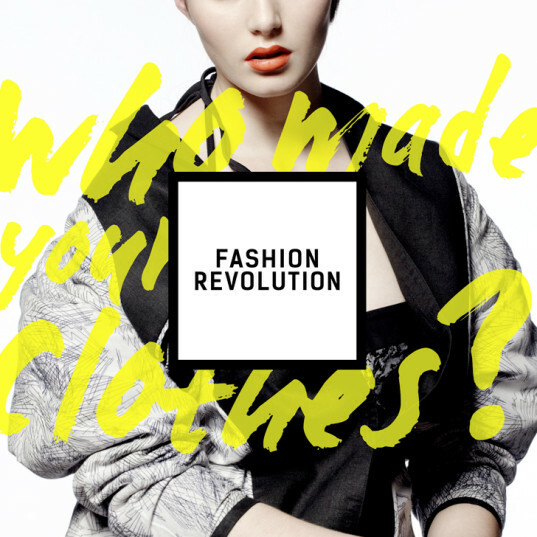 “Who made your clothes,” Fashion Revolution Day’s cri de coeur, also serves as a jump-off point for considering—and reconsidering—the garment supply chain, which binds the textile producer, the weaver, the dyer, and the sewing-machine operator with the consumer. 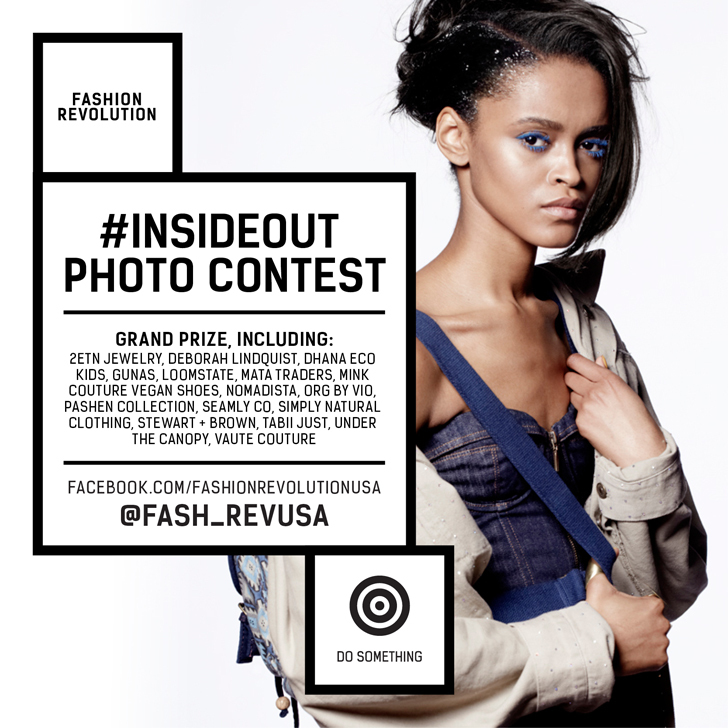 On April 24, declare your support by sharing a photo of yourself wearing your clothes inside out on Fashion Revolution Day’s Facebook page. As for the rest of the year, it’s time to rethink our consumption. Buy used, buy ethical, buy better, but most of all buy less. Because everything—even the cheapest of clothing—has a price. And now, more than ever, it might be someone’s life.